Jumpsuits are so easy, it’s a one-stop shop to get ready. You put it on, add some jewels and you’re ready to go…it’s as easy as that!! I have a couple and they are one of my go-to’s when we decide to go out on a whim. Bonus feature of the jumpsuit: they are crazy comfy!!! 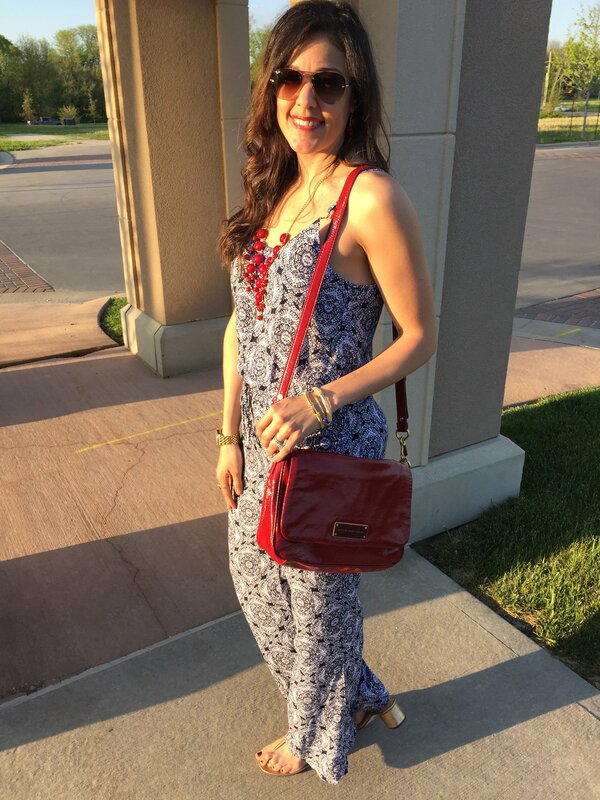 This particular jumpsuit is one I got on my first trip to Burlington (other great finds chevron dress and distressed jeans) for a steal. 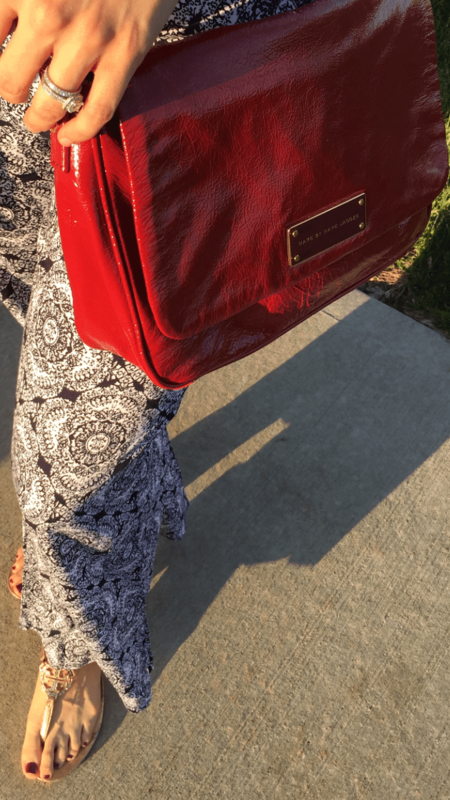 And as we all have learned I’m obsessed with red accessories, so this outfit was no exception! 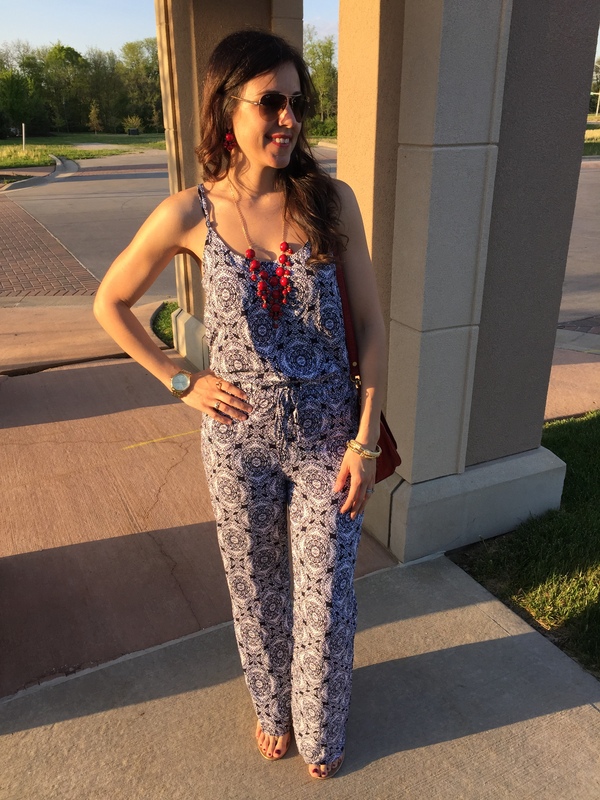 What do you guys think about the jumpsuit trend: Yes all about it, or No Way?